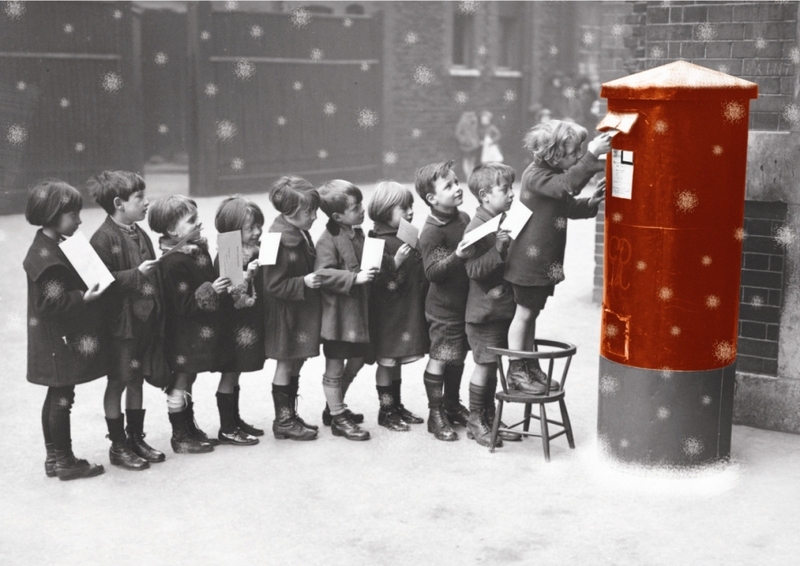 With Christmas just around the corner, it’s important to make sure that any mail is sent out on schedule to ensure you meet your desired delivery times. 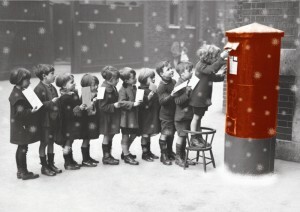 Still looking for the perfect Christmas Cards to send to you family, friends or clients? 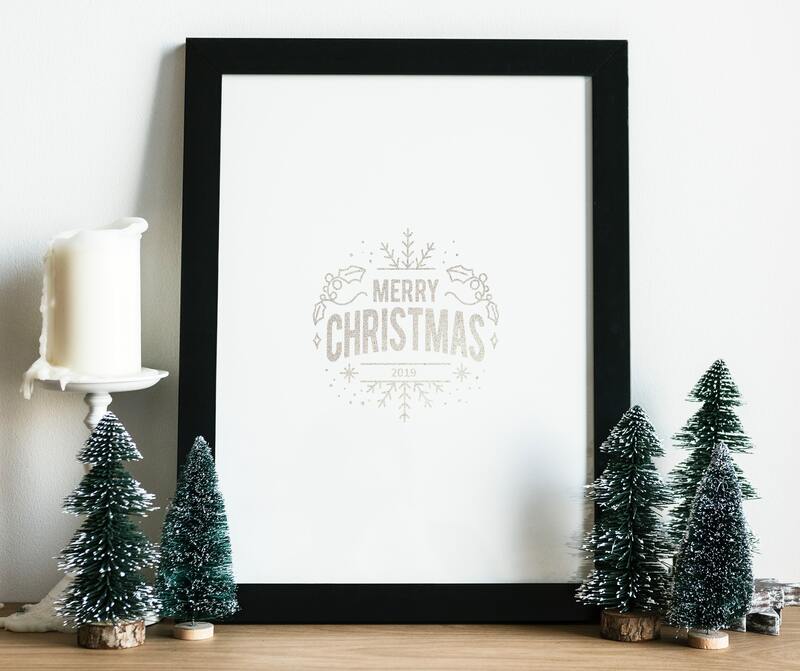 see how we can help create your perfect Christmas message. PECR is being replaced next year with another new piece of European legislation is making its way through the legislative process which will be of significant interest to those who engage in electronic/ digital marketing. The ePR 2018, or to give it its full name, the Regulation on Privacy and Electronic Communications (also known as ePrivacy) is a regulation drafted by the EU Commission which will repeal the current Privacy and Electronic Communications Regulations 2003 (as amended) and is aimed at ‘modernising’ the law in light of technological advances and the growth of new data sharing platforms. This acknowledgment of technology advancement was also a driver for the creation of the General Data Protection Regulations (GDPR) which became law on the 25th May 2018. The ePrivacy Directive and the GDPR (General Data Protection Regulation) share many characteristics such as their geographical reach. Nowadays, most companies’ marketing plans run over multiple channels, and obviously it has been important to understand how the GDPR has influenced the more traditional direct marketing campaigns such as postal, and impacted on the current Privacy and Electronic Communications Regulations (PECR) governing email, internet, and cookie consent. For many, it appeared that the decision as to whether to move to a fully consent based strategy or rely on a legitimate interest basis was full of forebodings. Having passed through that interesting phase, it is now time to consider what the ePrivacy regulation has in store for companies utilizing marketing techniques using all things electronic at the point of touch, telephone calling, internet, and email. When is the ePrivacy Regulation going to change? The ePrivacy directive should have been passed into law on the 25th May 2018, but such was the controversy created by proposed changes in relation to direct email marketing and the use of internet cookies, its pace through the legislative process became glacial. The Direct Marketing Association began to lobby the European Commission, opposing the changes, particularly those to the issue of consent and legitimate interest, the focus of this article. In July 2018, the Presidency of the EU commission released some suggested amendments to the draft legislation and whilst some of the proposed constraints around internet cookies have been removed, Article 16, which deals with unsolicited electronic communications, has not (see below). What will the ePrivacy Regulation change? Currently, under GDPR, you can use legitimate interests as a basis for processing data for marketing purposes, provided PECR doesn’t require you to obtain consent. Under PECR, consent (that is freely given, specific, informed and unambiguous) is required to conduct direct, electronic marketing to individual subscribers, sole trader and some partnerships. However, you can use the ‘soft opt-in’ in clause if you have obtained the contact details in the course of a sale (or negotiations for a sale) of a product or service to that person and you are only marketing your own similar products or services. You must have given the person a simple opportunity to refuse or opt out of the marketing, both when you first collected the details and in every message after that. This obviates the need for obtaining consent. Having taken all that in, if you are a not-for-profit, charity or political party, this isn’t available to you. The use of internet cookies provides rich information for marketers, especially in the ability to analyse patterns of browsing and buying behavior. The requirement for consent to drop cookies onto end user’s equipment has been a requirement under PECR for some years and has created what is now the ubiquitous consent ‘banner’. The new ePR has an ambition to provide consent at a browser level rather than a web page level, giving users the opportunity to reject cookies by default. It remains how technically feasible this could be, but could herald the end of the tiresome banner! More positively, rumour has it those analytical cookies such as that used by Google, could be included in the small select list of cookies that do not require consent. Article 16 of the draft ePR causes some concern in relation to what it doesn’t say, more than what it does. The requirements of this article focus on the requirement for consent to be obtained in order to use electronic communication services to send direct marketing communications (remember we are talking email) to end users who are natural persons. The soft opt in still stays as described above however, there is still ambiguity about the position with B2B marketing, including the emailing of individuals with corporate email addresses. The issue as to whether or not consent is required for B2B marketing to end users who are legal persons and individuals with corporate email addresses requires clarification, or we risk a return to the pre May 2018 muddle. The GDPR creates a new global landscape for data privacy and underpins the ePR ‘bolt on’ which means both need careful attention, especially when engaging in multi-marketing communications. Globalisation of data privacy regulation comes with much more informed and aware consumers who are readier to probe and challenge the use and misuse of their data. Let’s not forget that the consumer was a real driving force behind the GDPR with as many as 90% in polls wanting more control over the use of their personal information. Marketer’s need to accept and face the challenges of engaging with empowered consumers and build trust in their brand. This is an opportunity to revisit the data collected, focus in on what preferences the consumer has, build high quality email databases and segment more effectively. Importantly, to create relevancy for the consumer. The new ePrivacy Regulation regulates electronic direct marketing and so has no bearing on direct postal marketing. However, the GDPR must be considered as data used for postal mailing purposes must be processed in accordance with those particular regulations. Importantly though, the use of ‘legitimate interest’ as the basis to conduct direct marketing is hard coded into recital 47 of the GDPR. Although the legitimate interest assessment and right to object to marketing considerations still exist, getting to grips with one set of rules instead of two will be a welcome relief to many marketing departments. Whatever the final implications of the proposed ePrivacy Regulation, Mailing Expert will be here to help you stay in contact with existing customers and reach out to new ones. 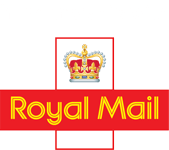 Whatever your direct mailing requirements, get in touch with Mailing Expert or give us a call on 01825 983 033. Derek is a Registered Independent Security Consultant and holds a Diploma in Security Management and is a GDPR practitioner. He has a significant background in risk and security management obtained in a law enforcement and private sector context. As a Director of Compliance and Privacy Solutions Ltd, (www.caps-ltd.co.uk) he provides a range of pragmatic and proportionate data privacy consultancy solutions to SME’s, including offering Data Protection Officer services, compliance support packages and training. Polythene wrapping mailed items is popular, especially for brochures and magazines, helping to protect products from water damage and wear and tear. However, smaller items can be mailed plastic free, so think about using postcards, paper envelopes and one-piece mailers for your marketing; be creative and standout from the crowd. There are recyclable, bio, oxo-degradable, compostable and photodegradable plastics available for mailing envelopes and bags. For packaging, there’s shredded cardboard and paper, and material made from corn or potato starch. There is also biodegradable bubble wrap, with a special additive that means it only lasts for 1-2 years in landfill before being absorbed into the ground as a harmless residue. We can offer all of these alternatives to our clients. These are great products although they do have a shorter shelf life, since they start to degrade as soon as they’re in contact with light and/or oxygen, and come at a higher cost. This is what we look for in any company whose products we use for direct mailing, as well as adhering to very high standards ourselves. Even if some plastics aren’t waste-friendly, they can be reprocessed into a form which means they can be used again for other applications which require lower grade material, such as refuse bags, fertiliser sacks, chairs, benches, tables and pallets. For this reason, we sort and recycle our plastic waste. It’s about giving things we do a little thought. So we only use soap bars in our loos and not those dispensers (the tops are very difficult to recycle). Maybe the mere mention of GDPR at the beginning of January, when you’ve just got back into work after a festive couple of weeks is something you think you need like a hole in the head. Maybe this wasn’t top of your New Year’s Resolutions list—Make sure we are GDPR compliant before 25th May. However, the thing to remember is that this new law is for our benefit and the benefit of all our clients, customers and associates. It promises enhanced rights for citizens, greater transparency and increased accountability. How can anyone say that’s not a good thing? Another thing to remember is that if you’ve kept your data protection up to speed in recent years, the changes you’ll have to make aren’t that massive anyway. There’s a whole lot of information out there, and misinformation—some of which is a result of several revisions of GDPR, so that some legislation, originally proposed, has not been ratified and will not apply. Here are five of the most common myths which are doing the rounds—entertaining to read about, but not true, or at least, reality heavily embroidered for effect. The fact of the matter is that fines could be bigger—£17 million or 4% of turnover is the new maximum—but according to the Information Commissioner’s Office (ICO), this will not become the norm. Minor infringements in the early stages of implementation will not be stamped on and the ICO’s commitment is to guidance and education rather than punishment. ‘Issuing fines has always been, and will continue to be, a last resort,’ says Elizabeth Denham, UK Information Commissioner. While there is no intention of allowing breaches to pass by unnoticed, there are warnings, reprimands and corrective orders in the ICO toolbox before they bring out the mighty sledgehammer of punitive fines. Apparently 1 in 4 UK businesses have stopped preparing for GDPR compliance, thinking it won’t apply to them if and when the UK leaves the EU, which is forecast to happen in March 2019. Well, for a start, GDPR enforcement begins 10 months before Brexit is predicted to happen. In addition, the government has issued a statement of intent to instigate a new Data Protection Bill, which will implement GDPR in full. But…do you offer goods and services to companies or individuals in the UK and the whole of the EU —either resident or visitor—or anyone from Britain or the EU living in a non-EU country? Many companies from across the globe may have offices overseas. If you have to process data from UK/EU citizens or visitors to Europe, including the UK, then, yes, GDPR applies to you. Wrong – for the most part. You have a high duty of care to anyone for whom you store personal data and, to that end, it’s your responsibility to choose a reputable service provider to hold that sensitive information. You will be held responsible for GDPR compliance relating to your database – though service providers must comply with GDPR requirements too. Myth # 5 – GDPR doesn’t apply in retrospect, so personal data we already have on our database isn’t subject to GDPR rules. GDPR rules will apply regardless of when you collected the data—as long as that data is associated with a living person who was in the UK or the EU at the time. As an example, if you have contact information from prospective customers (B2C or B2B) gathered before 25th May 2018, this data must be compliant with GDPR. Don’t believe everything you read in the media! And always err on the side of caution when it comes to data compliance. Remember that’s both B2C and B2B. If you are struggling with the finer details, at Mailing Expert we’ll be happy to talk you through them. NOW is a better time to be planning for next year so that we can all start January 2018 with a bang and not a whimper—especially bearing in mind that it’s only going to be a few short months until May 25th, the day that GDPR swings into action. Certainly, for us here at Mailing Expert, our resolutions list always has this at the top: helping even more customers get the best possible results from their direct marketing. We’re keen to talk to anyone who’s interested in planning ahead, both long-standing clients, and brand new ones for whom 2018 heralds a first venture into the delights of DM. How is your GDPR strategy progressing, to make sure your company will be compliant by May 25th, meeting the new law’s strict data protection principles? A case of, ‘Don’t, for goodness’ sake, leave this until the last minute!’ While it’s a straightforward process, clearly denoted in the legislation, it takes time to organise more comprehensive privacy notices, to enact the rules on obtaining consent and so on. There are a number of forms of direct mailing and it’s important to know which method provides better monetary value when targeting a certain demographic. Implementing up-to-date analytics tools would be a great way to start this process, so that in 2018 you will know how and where to invest your marketing budget. Segmentation—discarding the one-size-fits-all approach and pinpointing the best way to reach individual customers—will help to optimise your returns in the coming year. In this cyber-enabled era, people may use many ways to access information about your products and services. It’s crucial to ensure that the brand experience is consistent on a mobile phone, a tablet or PC, in emails and in flyers, letters and brochures for direct mailing. Is your messaging and imagery cohesive? While your main focus should be on creating a unique, personalised appeal in your direct mailing campaigns, it’s still useful to analyse what your competitors are doing. This could determine if there’s a new opportunity for you to seize which will help you to achieve your marketing and sales objectives for 2018. And finally, …rest and be thankful. If you are taking a few days off over Christmas and the New Year, make the most of it. Reflect on your achievements in the past year and gear yourself up for new challenges in 2018. If you’ve taken time to plan ahead, you’ll be able to enjoy yourselves, secure in the knowledge that when you’re back at work, everything’s set up for a smooth transition into another busy and, we hope, successful year. We are ready for Christmas 2017, are you?? (Find our updates 2018 posting dates here). sending out your mail on schedule can be crucial to your business. Also not forgetting your international family, friends and clients…. see how we can add value to your seasonal marketing.